Dover Youth to Youth is an after-school drug-prevention program coordinated by the Dover Police Department Community Outreach Bureau. 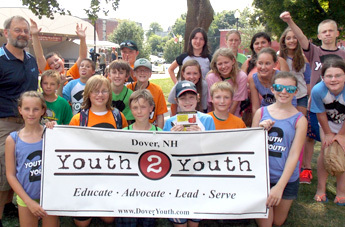 Y2Y is open to students in 6th -12th grade in local schools in Dover. Our program generally has 70 registered members every year. Since it is not practical to try to have a meeting with 70 kids, we divide the students up into teams. Each team consists of approximately 20-25 students and an advisor. We also have several college students from The University of New Hampshire and other surrounding colleges who assist the teams and the Y2Y program as interns. 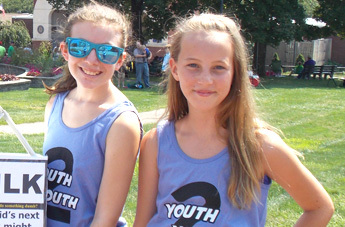 Although the teams have the opportunity to do a variety of fun and drug-free recreational activities, such as dances, team building games, bowling, and improve games, the primary function of Youth to Youth is to act as a youth empowerment program where students have the opportunity to take an active role in drug-prevention initiatives. Media productions, particularly creating radio ads. Presentations at schools, conferences and other locations. Community and School Awareness Programs. Legislative efforts at the local or state level. You can learn more about the projects Youth to Youth does in these categories by going to the What We Do Menu above. 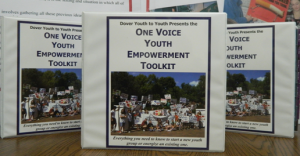 As a substance abuse and violence prevention program, Youth to Youth seeks to empower youth to take on community issues by following our Youth Empowerment Model.